You have found the perfect home. Congratulations! Now, only a few items on the checklist to accomplish and that dream home can become a reality. Whether you are investing in your first home or your forever home, there are a few important steps that should be given serious consideration. Standard steps in the pursuit of happiness are secure financing, a successful water test that confirms potable water and securing adequate insurance for your soon to be home. 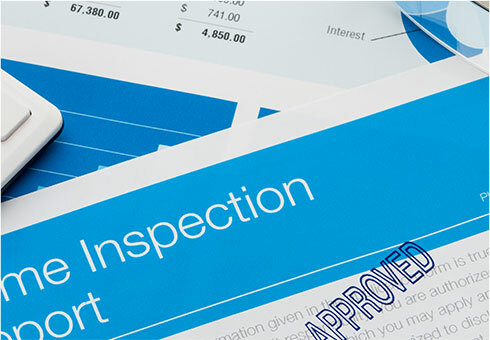 One of the most important steps to any purchase be it your Aunt Mable’s home, that cute bungalow in the best neighborhood or that spectacular waterfront dream home, is a property inspection. For every caliber of home, a quality home inspection is crucial. Yes, we all have a grandfather that has built a garage or birdhouse, that lovingly offers to do it for no cost, or the cousin that insists that you don’t need a professional…he knows what he’s doing. Take heed my friends, this is one of the biggest investments you will ever make and although Cousin Clem means well, it may be the difference between that dream home becoming a reality or the reality of your new home becoming a nightmare. In my years as a Realtor, I have seen all types of inspections. Once granddad got to the top of the stairs, he confirmed the sturdiness of the handrail and continued his slow and not so reassuring inspection. The cousin who found fault where there was none, and cost the buyers a great home in his quest to impress upon them his skill and knowledge of all things. Or the time the professional arrived with camera, clipboard and an array of gadgets, who, during the course of the inspection, revealed his online course only took a few hours. Presto, he’s loving his new job! I have also have had the privilege to observe true professionals who provide thorough inspections and reports to buyers looking to make an informed decision. These buyers have made a better choice and as a result better investments. Although those who offer their expertise are trying to be helpful, I have seen buyers receive bad advice on a good home and have lost a good opportunity for a great investment. So when granddad or cousin Clem offers their generous support, my best advice to you is, politely decline, contact your Realtor who will have contact information to a qualified and trustworthy inspector and pick up the phone. This will be a sound investment you won’t regret.